Orioles smack four home runs, including one from Chris Davis, in a 9-1 win over the White Sox. 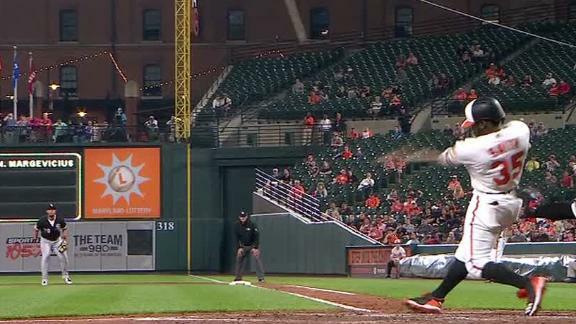 Chris Davis goes the other way and finally hits his first home run at Camden Yards of the season. Tim Kurkjian thinks baseball is partly to blame for Chris Davis' struggles, saying this is a tough sport, and this can happen.